Brad Pitt has one. Kurt Cobain and Colonel Sanders had one. Even Shakespeare had one. So what’s the attraction of a goatee, anyway? For many people, a goatee is a symbol of intelligence and gravitas. Why? That’s a good question. There really is no reason why a wispy beard should be a sign of anything more than having just an occasional relationship with a razor. But a goatee is more just a goatee, for many men. It’s a statement. Growing a goatee, however, is not for everyone. First of all, you have to have the facial hair. Not all men can grow a beard, let alone a goatee. Secondly, you need to have the confidence to get it right. And finally, you need patience – as well as scrupulous hygiene every time you eat a meal! 1) Quit shaving. Let all your facial hair grow out, and observe the pattern it creates to see if a goatee is really right for you. 2) Picture it. Now, decide what kind of goatee you want. Most fall into three types: plain goatee, [artist]Van Dyke goatee (not connected to existing moustache), or circle beard (connected to moustache). For other variations on a theme, see below. 3) Shape it. 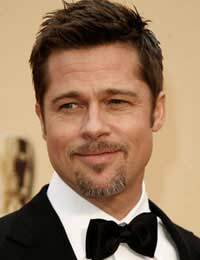 Make sure your goatee is as symmetrical as possible, but not extending beyond your smile lines. A regular razor will work, although the trimming tool on an electric one might be more helpful. Trim nice sharp corners at your jawline and remember, if you mess up, you can always shave it all off and start over again. Keep in mind that some goatees are designed to hide a weak chin or make a round face look thinner, so choose the best one for your facial shape. 4) Trim it. One drawback of a goatee is that you will have to keep all stubble at bay to keep it looking good. If you don’t want to shave the rest of your face regularly, don’t go for a goatee. 5) Maintain it. Wash your goatee every time you wash the hair on your head, and beware of food getting lodged there. A bushy, filthy Rip Van Winkle beard is probably not the look you’re after. Soul Patch. Just a tuft of hair growing from underneath the bottom lip. Chin Tuft. Similar to the above, but this tuft grows only off the chin. Chin Strip. Similar to the Soul Patch, but the hair grows down from the bottom lip in a strip. Inverse Goatee. A pair of mutton-chops sideburns with the offending goatee shaved out. Chin Strap or Curtain. Worn with or without moustache, this neat “strap” of hair follows the jawline. The Balbo. The goatee is like an upside-down “T” and is not connected to the ‘tache, or can be worn without one. Soviet founder Vladimir Ilyich Lenin. Would you even recognise him without his goatee? KFC founder Col. Sanders. Can you imagine the Colonel any other way? Star Trek resident Vulcan Mr. Spock. He’d look bald without it. Comedian Eddie Izzard. Trim and well-groomed, his nice little goatee suits his down-to-earth image. Comedian Ali G. Did you know his goatee was created by London-based men’s grooming stylist Carmelo Guastella? If you want to give yourself a new look, a goatee may be the answer. Make sure you decide on a goatee style that does justice to your existing hairstyle, and don’t be afraid to break out the razor if it ends up making you look more silly than sophisticated. You can always ask for advice at a reputable hair salon to decide on a goatee that is right for you. Feel free to experiment, and most important of all, have fun with it!